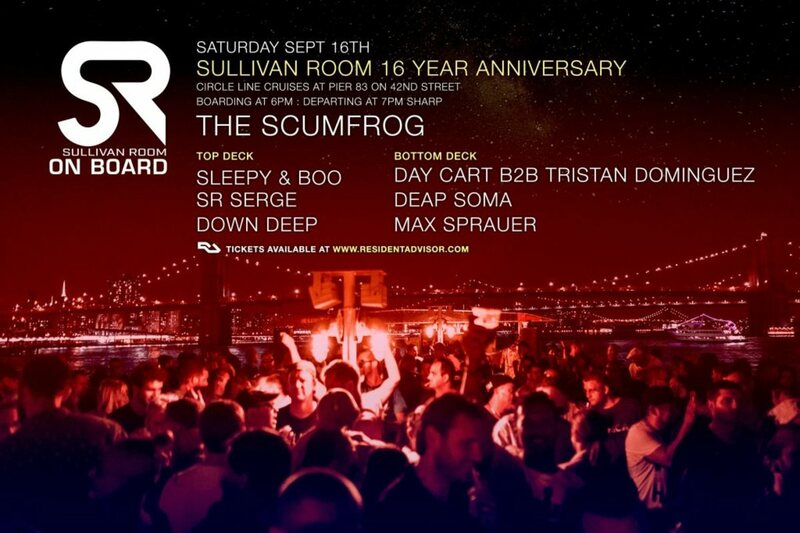 The Sullivan Room Anniversary Cruise Party sets sail at Pier 83 on September 16, 2017 with headliner and former NYC resident, The Scumfrog alongside SR Serge, Sleepy Boo, Tristan Dominguez b2b with Day Cart, Deap Soma, Down Deep and Max Sprauer. 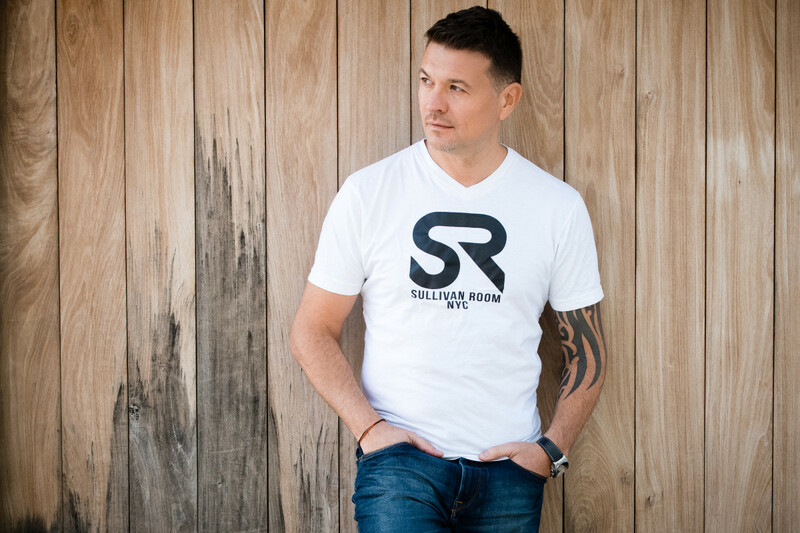 One of New York’s last standing underground house music venues, the Sullivan Room, continues to keep their legacy alive with their annual anniversary party. Number Sixteen is the magic number this year as the Sullivan Room family celebrates its 16th anniversary on September 16, 2017. 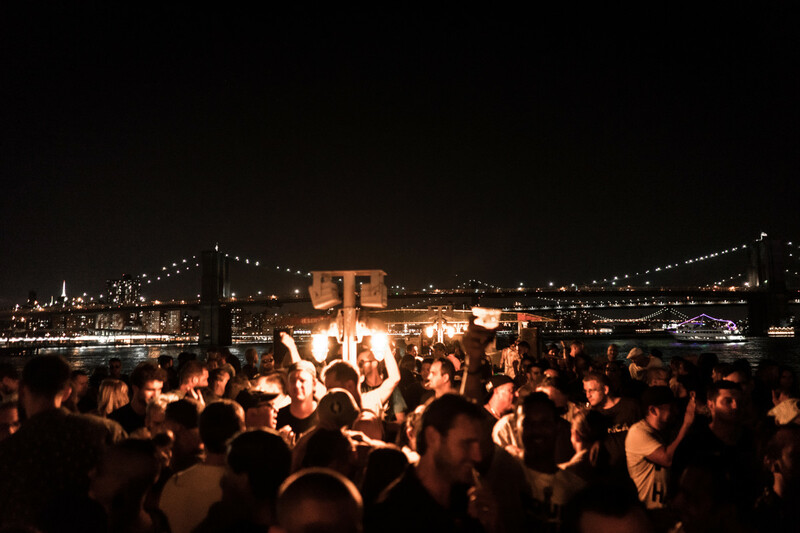 Pier 83 and Circle Line Cruises is where and who the founder, Sergei Skylarenko chose to have its yearly parties since the nightclub was abruptly forced to close its doors in 2013. Despite the shock, Sergei shares that he continued the Sullivan Room parties and turned them into pop-ups around the city. 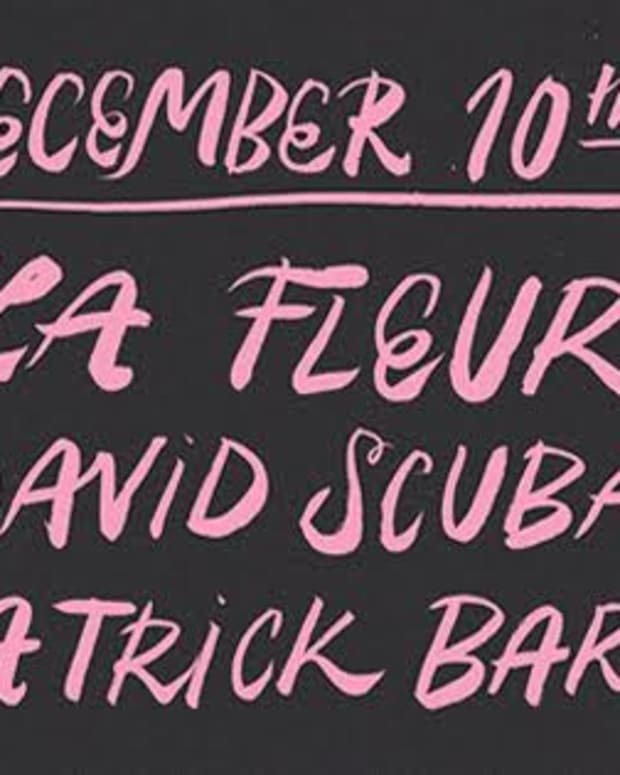 “There are no proper Manhattan clubs right now because real estate is through the roof so I decided to have the anniversary parties as a boat party.” As for the future of Sullivan Room, Serge mentions that he is working on what he calls "Sullivan Room 2.0" with plans to get another Manhattan venue to hold them at. The lineup for SR&apos;s 16th-anniversary party includes some of the DJs you could hear at the Sullivan Room&apos;s events, Sleepy Boo, SR Serge,Down Deep and Tristan Dominguez, while adding some fresh new DJs such as, Max Sprauer, Deap Soma and Day Cart (who also is a former Magnetic editor). Jesse The Scumfrog shared some memories about the good old days at the Sullivan Room. "Sullivan Room was such a cool spot for so many years. I premiered a lot of new records in that booth, and the crowd was always brutally honest. Sometimes I knew when I played a record, that I had to go back to the studio and change it, and other times I knew I had a winner right away. The crowd at Sullivan Room definitely knew their music." When asked what being part of the Sullivan family meant to him he answered, "The family vibe at Sullivan Room was so tight everyone let everyone, kind of, do their thing. The collective of artists that were there at the time will undoubtedly all still appreciate that." 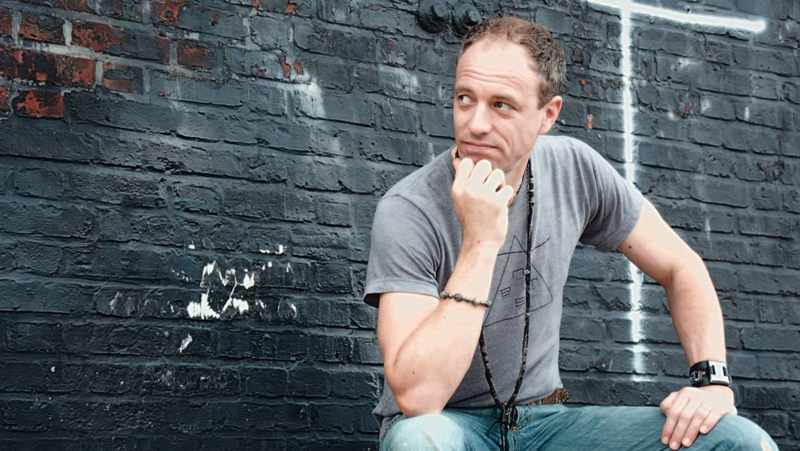 The Scumfrog also reminisced about his early days in New York, "This year marks my 20th anniversary since I moved to NYC, so when Sullivan Room first opened, I was still relatively fresh in the city. Looking back now, I realize how special that period in time was because the economy in Manhattan today makes it impossible for a club like Sullivan Room to survive. 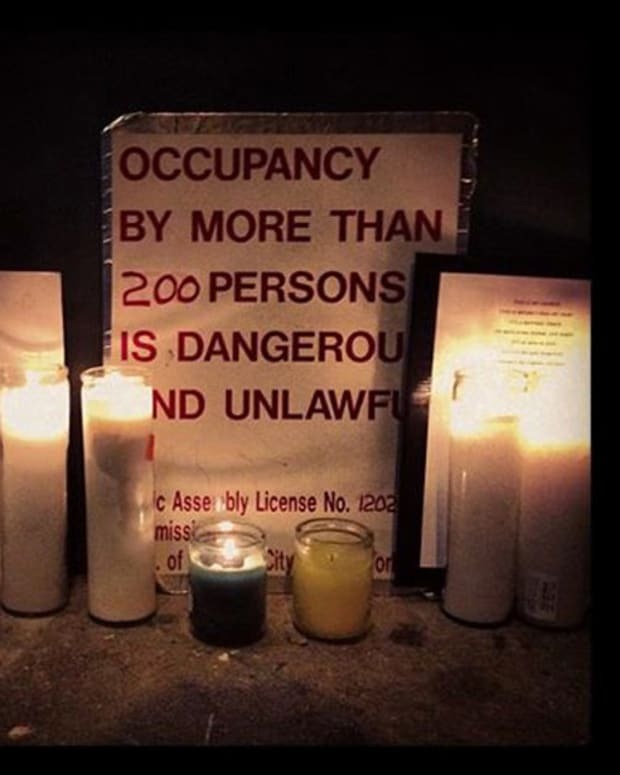 Even in Brooklyn today, small underground clubs are struggling to pay their overhead. The fact that Sullivan Room could thrive for so many years, and be dedicated exclusively to underground dance music, is in hindsight, a wonderful thing. Realizing that I was a part of that era always puts a smile on my face and it makes me look forward to the boat party on Saturday." For more details visit https://www.facebook.com/sullivanroom/. 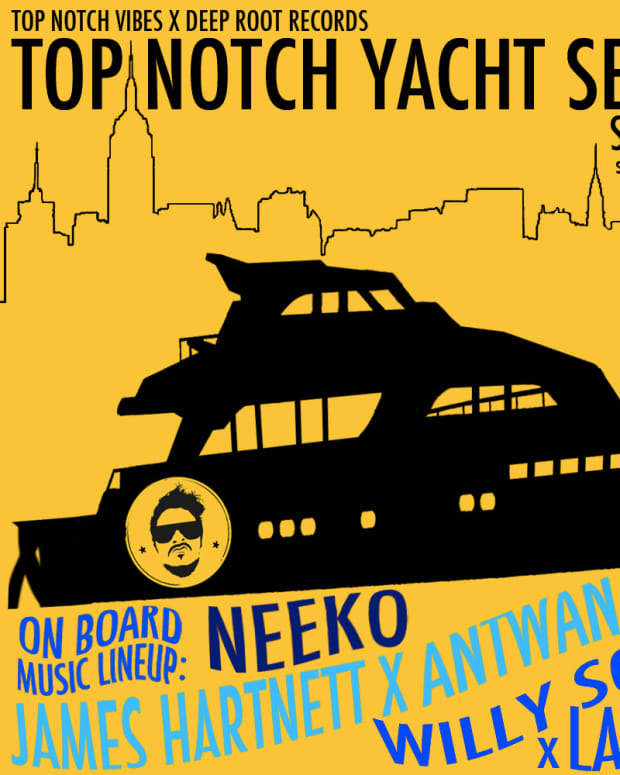 Buy your tickets to the cruise right here.